Friday saw the latest house sales report from the Canadian Real Estate Association which confirmed that the market in most regions is still hot. National home sales jumped 0.8 per cent from June to July of this year and 7.2 per cent year-over-year. The increase was expected with many regional real estate boards having already released figures. Read the full story. Edmonton’s city hall is struggling to keep up with the high demand for building approvals according to the mayor. The issue surrounds technical information relating to infrastructure changes caused by development projects and Mayor Don Iveson says that there has been an unprecedented level of applications. So far this year technical drawings have been submitted for approval on 235 projects totalling 9,600 units; well above the 7,800 annual average. The delays in approving drawings add additional costs for developers although the timescale has come down in recent years. In 2012 it took an average of 305 days for approval, it’s now 160 and the target is 100 days. Read the full story. The Royal Bank of Canada will release its earnings report this Friday; the first of the big six lenders to do so with the others following over the next week. Few analysts are predicting anything other than growth, fuelled by investments but also greater lending especially in the mortgage sector. The hot housing market is good news for the banks and their increased stability and profits is also good news for homebuyers as it should mean loans are more available and deals become more competitive. Read the full story. Comparisons have been drawn between Canada and UK housing markets over recent months, in part due to the role of Mark Carney as former governor of the Bank of Canada, now heading the Bank of England. Fears about the high cost of property and lack of availability have been raised in both countries with London posing the biggest risk of a bubble for our UK cousins. While the Canadian market is showing little sign of slowing down, the UK market now is. New figures show a switch from a sellers’ to a buyers’ market as UK wide prices fell 2.9 per cent in the first half of this month; in London it was almost 6 per cent. The news brings a reminder of the dangers of complacency; those high prices and bidding wars can soon turn with sellers forced to offer discounts and facing a longer wait for a sale. Read the full story. 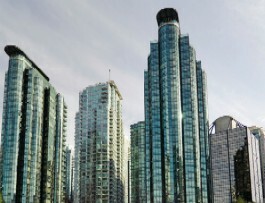 More visitors looking to acquire Canada’s property? Call it far-fetched but it seems there is much interest from foreign citizens in Canada’s hot housing markets. A Winnipeg UFO group reports that the city along with Toronto, Calgary and Vancouver are ‘hot spots’ for UFO activity with over 16,000 sightings in the last 25 years. The report could provide a unique approach for marketing properties in those cities, although the UFO-spotter niche may be very small.